"The idea of the book is taken from Noda's 'Blink', a series of diptychs. This series was given an honorable mention by famed critic Kotaro Iizawa at the 2006 Canon 'New Cosmos of Photography' competition. 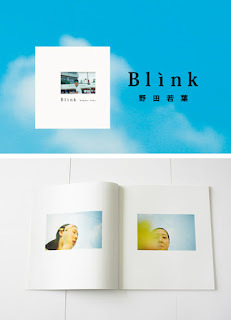 About this work, Noda says that she 'tried to make the physical body reaction (blink) into a photographic image. To blink is something that we can not really control. (Of course we can blink intentionally.) I wondered and visualized what I am missing in the little moment when I blink. So that is why I used two pictures to show a little difference and moment between there.'"